You can talk to your pharmacist in confidence, even about the most personal symptoms, and you don't need to make an appointment. It is possible to walk into any community pharmacy and ask to speak with the pharmacist. Most pharmacies now have a private consultation area where you can discuss issues with pharmacy staff without being overheard. Alternatively you can arrange a consultation over the phone. The 111 service is available to all patients between the hours of 18:30 and 08:00 weekdays and during weekends and bank holidays. 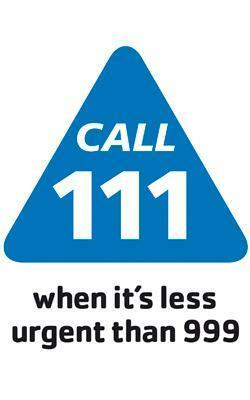 Patients needing medical care when the practice is closed should dial 111. Calls to this number are free of charge. Any information about your call and the reason for your contact is passed electronically to the surgery the next working day.